Most photographers take a portrait shot at some point. You might not think of it as such, you might think of it as a holiday photo, documentary photography shot or a family photo, but if there's a person in it, it's also portrait photography. People photos can be particularly tricky to get right because many subjects have strong ideas about how they do and don't want to appear, and not all are comfortable in front of the camera. 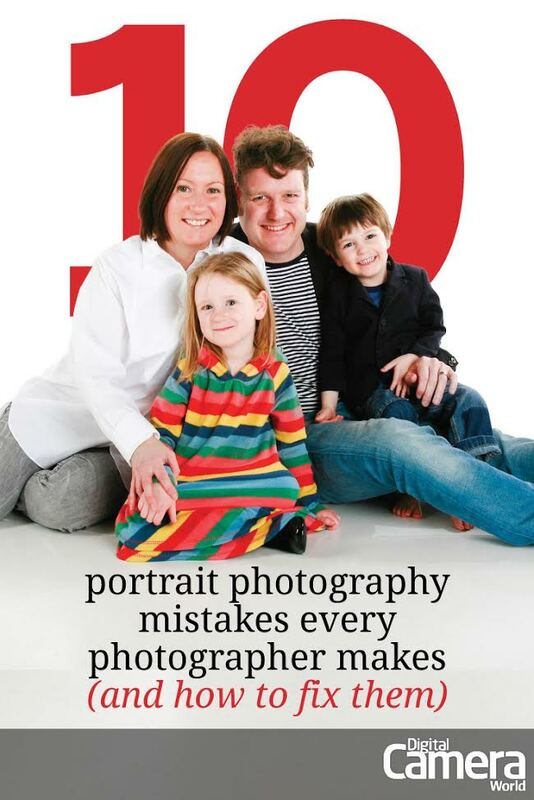 In this article our head of testing, Angela Nicholson, explains some of the common mistakes that photographers make when shooting portraits and explains how to avoid them. It's far more flattering to shoot from a little further away and use a longer lens as this will help keep the sitter's facial features in proportion. While an effective focal length of 50mm (or wider) lens may be a good choice for an environmental portrait, where the subject is in their workplace, for example, and you're not too close, something a little longer, perhaps around 70-85mm, is often regarded as a good choice for head and shoulders shot. Don't forget, that a 50 mm lens is equivalent to around 75 mm on and an APS-C format SLR, so your standard prime lens can be an excellent choice. Longer telephoto lenses also work well, although you'll need to stand further away so you need more space to work in. As a general rule the eyes in a portrait image should be sharp. This is especially important if you're shooting with the aperture wide open to restrict depth of field. Shallow depth of field is a great way of directing the viewer's attention towards the subject, and if the wrong part of the image is sharp that's where the viewer will look. With a portrait this means that it's no good focusing on the sitter's nose, the focus point needs to be right on one of the eyes. If you normally let the camera select the autofocus point for you, it's time to take control and set it yourself. Your camera manual will explain exactly how to do this, but look for an option called something like one point or one area auto focusing. Alternatively, if your subject isn't moving you could try focusing manually. In this case it's worth using your camera's live view mode and composing the image on screen with the camera on a tripod. It's usually possible to magnify part of the scene so that you can be sure that the focus is spot-on. With a portrait you want to magnify the eyes and focus on them. An added advantage of shooting with the camera on a tripod and composing the image on the camera's screen is that it's easier to engage your subject in conversation, helping them to relax and making the shoot almost incidental.